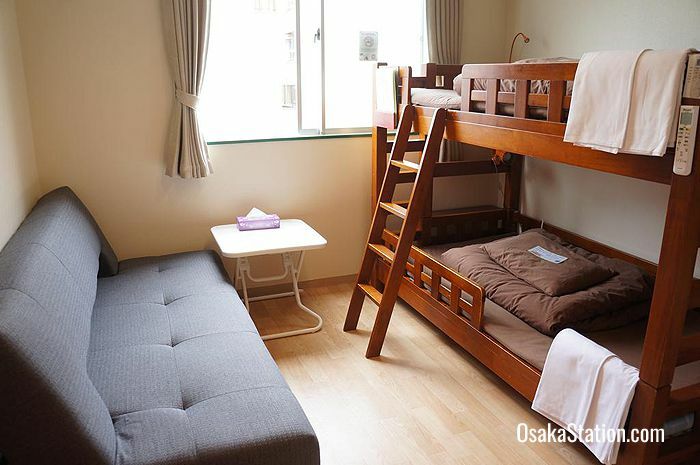 J-Hoppers Osaka is a very cheap and well-maintained backpackers’ hostel with friendly English speaking staff, excellent facilities and a very relaxed atmosphere. 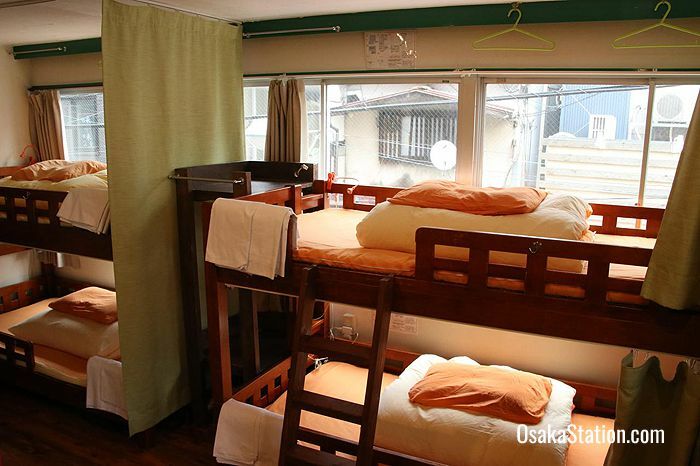 The hostel is very close to Fukushima Station and is also convenient for the Umeda area. There are many shops, bars, and restaurants in the immediate area. 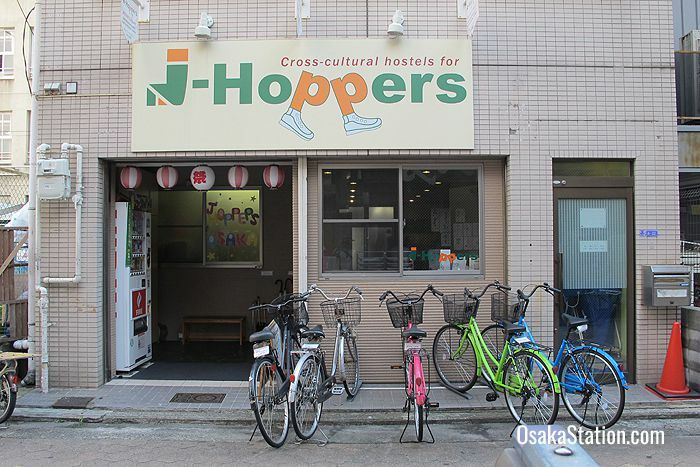 This hostel is a branch of the J-Hoppers chain which also has hostels in Kyoto, Hiroshima, Takayama, and another one in Osaka close to Universal Studios Japan. This hostel has mixed dormitories and one ladies only dormitory. All the dormitories have bunk beds fitted with reading lamps and electrical outlets. 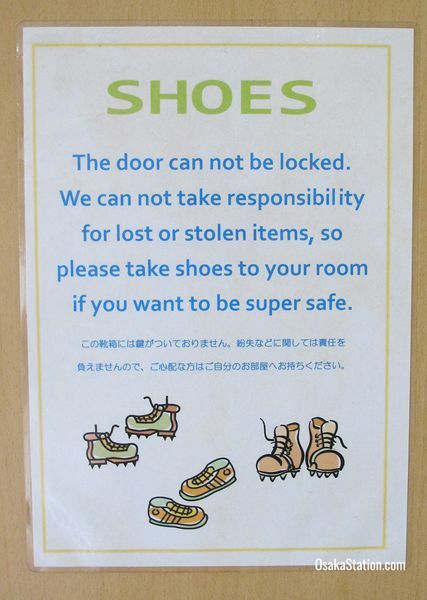 Each guest also has their own locker in the room. There are also some private rooms. The double room has a bed for two, the twin room has bunk beds, and the triple room has two bunk beds and a single bed. The private rooms all have LAN outlets for internet connections. All rooms and dorms have free Wi-Fi and are fully air conditioned. The interior of the building is completely non-smoking. The hostel has 4 shower rooms which are available for guests to use 24 hours a day. There is also a toilet, wash basins, and a hair dryer on each floor. Free shampoo and soap are supplied. 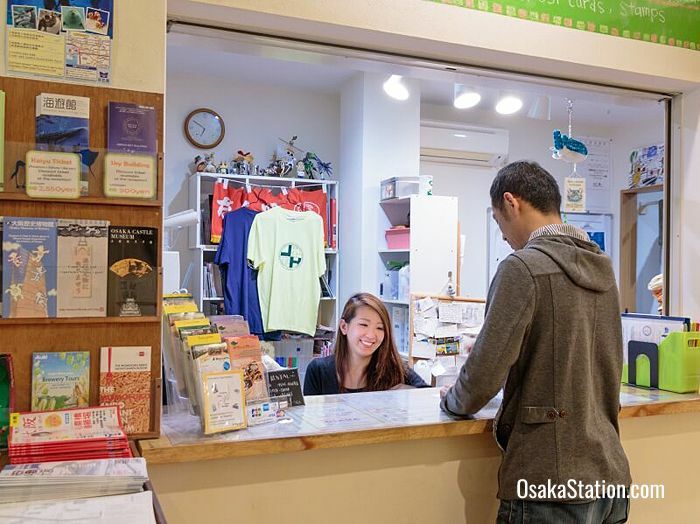 Towels can be rented for 100 yen for the whole of your stay. The reception is open from 8.00 – 14.00 and 15.00 – 22.00. Guests can check in between 15.00 and 22.00. This hostel has no curfew. 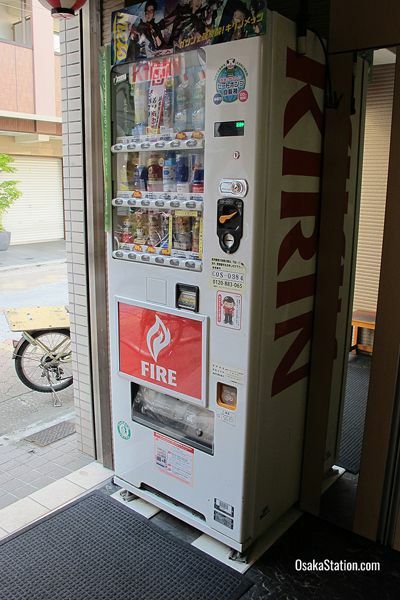 In the reception and lobby area you can find lots of tourist information brochures and maps, vending machines for soft drinks and alcoholic beverages, and a common use computer. The staff are sociable and sometimes organize events and parties for the guests. Free luggage storage is available both before you check-in and after you check-out. There is a coin laundry with free laundry detergent. The washing machine costs 200 yen per load, and the dryer costs 100 yen per load. The hostel has a communal living room which has a TV, DVD player, and two more computers for common use. There is also outdoor seating on the rooftop terrace. The hostel kitchen is fully equipped with a refrigerator, cooker, microwave oven, rice cooker, toaster, crockery and cutlery, and free tea and coffee. 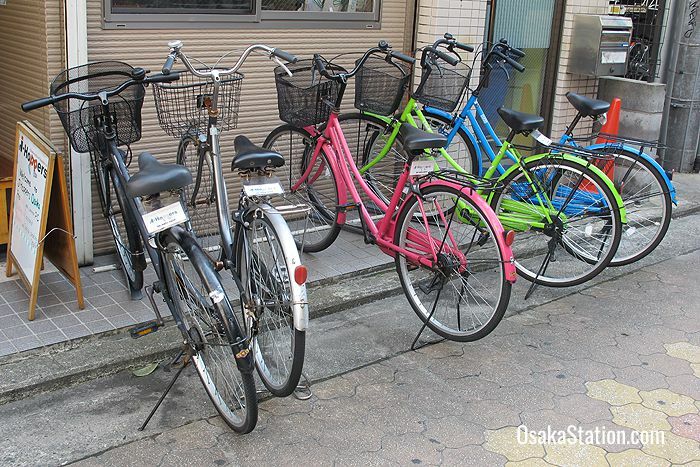 Bicycles can be rented for 700 yen a day. J-Hoppers Osaka is located south west of Osaka Station. From the Sakurabashi Exit of Osaka Station it is a 15 minute walk. 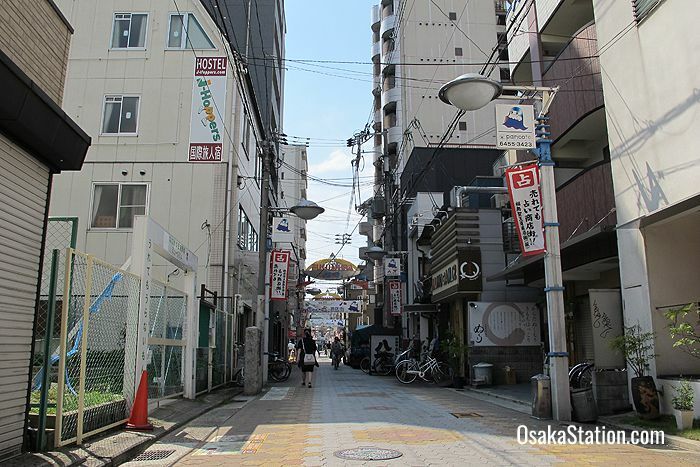 However, it is also just a two minute walk from Fukushima Station which gives you immediate access to the Osaka Loop Line and the Hanshin Main Line.